As I was preparing to put together a channeling for Valentine’s Day, I started receiving great revelations on the 2nd and 3rd Rays of God. Previously I always connected with the Planetary Rays but in the last two years have fully activated the Universal within my teachings and meditations. I realized that in order to share the information I was receiving that we had to bring forth a basic knowledge of the 22 Rays of God. My partner, Mike Hayden, has assisted in this writing which I believe will help individuals within all levels of awareness to grasp this concept of Light that is available to us. The 22 Rays of God exist on each level of the Multi-verse. For example the Planetary (our 3rd dimensional frequency) can access the 22 Rays, but only within the frequency of the 3rd dimension). The Universal frequency is a 5th dimensional frequency that can be accessed and felt now from on our planet, but it is not planetary in origin. It is a “higher” level frequency in the sense of how we are categorizing it. (Nothing is really “higher of lower”, just different in their aspects.) It is a consciousness that we bring into our physical bodies preparing us for the higher rays to be activated. It is also important to note that we have not had the accessibility to connect with the 22 Rays of God on a planetary level due to our awareness and lower frequencies inhabiting upon Gaia. We now are able to access all the 22 Rays within our physical existence due to the availability given to us through our consciousness shifting into higher awareness. This is a doorway that has been opened in the last few years. Until the year 2000 we were still only tapping into the first seven Rays of God; after the shift into the new millennium we were then able to access the 12 Rays of God. The 22 Rays of God incorporate the 3rd, 4th, and 5th dimensional frequencies along with accessing the 3rd, 4th, and 5th dimensional chakra grids. In the last few years I was apprised of the fact that there were Planetary and Universal levels to the first seven rays. Such is the case that when we work with these Rays, we also have to still work on the Planetary level even though we are now also incorporating the Universal Level. Our body needs to be able to access the Universal level and become accustomed to the higher frequencies. This is not a linear process and we are not linear beings; we are multi-dimensional. There are other levels that we can access as well, all the way up to the full 144 dimensions of the God Force. One of those is the Cosmic level. The Cosmic level sits at the 144th level, and is now essential to be incorporated as part of our transition into the 5th dimensional frequency, as the 5th is a “connection” dimension that is not isolated to itself like the 3rd dimension. The 5th is the gateway dimension to all the other dimensions and we now are learning to work on many dimensional levels at the same time. (This “evolution” of our spirits from being linear only 3rd dimensional beings to opening up our multi-dimensional selves, has been going on for some years at an accelerated rate even if we have not entirely noticed. Humanity has actually accelerated its evolution of the past three to five decades at a rate equivalent to over a century in that briefer timespan, and this rate continues to accelerate even faster today). Each of the Ray Chohans are continually accelerating themselves also. The posts that they have taken are not forever and many initiates are being considered to take over these posts in future times. Lord Maitreya oversees the Ray Chohans along with Lord Melchizedek and Sanat Kumara. If you have an interest in being considered for training for one of these posts, please put your requests out to any of these Beings. In addition each of us incorporates the seven rays of God within our embodiment through our physical, mental, emotional, personality, soul, and monad aspects. It is a science of understanding our life-paths. If you have an interest in learning more, contact Lady Meleriessee, meleriessee@lifestationearth.com, to set up a Ray Reading with Djwhal Khul. To help the reader understand each of the Rays the following is a brief description of the Rays. Each ray has a Chohan or “leader” of that ray that are Ascended Masters. As we are learning more about the 4th and 5th dimensional rays, information is being brought forth of the overlighting Beings. The Higher Rays of the 4th and 5th dimension are more of a frequency; the first seven Rays bring forth aspects, lower and higher, along with a deeper knowledge (Dr. Johsua David Stone and Alice Bailey material). As a channel, I am being guided to bring in the information of the higher rays which can be a very confusing science to grasp. If you would like to journey through the 22 Rays of God, join us for our monthly Mastery class “Learning to Embrace the Golden Energies of 11:11:11” . #1 Will & Power, Planetary – Red-Crown Chakra; Universal: Blue-Throat Chakra; Chohan, Chohan-El Morya; Archangels Michael & Faith; Elohim Hercules & Amazonia. #2 Love & Wisdom, Planetary – Blue-Heart; Universal: Golden Yellow-Crown; Chohan- Master Kuthumi, Ascended Master Djwhal Khul; Archangels Jophiel & Christine; Elohim Apollo & Lumina. #3 Active Intelligence, Planetary- Yellow-Throat; Universal: Pink-Heart; Chohan-Paul the Venetian; Archangels Chamuel & Charity, Elohim Heros & Amora. #4 Balance & Harmony Through Conflict, Planetary – Green-Root; Universal: Crystalline Light-Root; Chohan-Serapis Bey; Archangels Gabriel & Hope; Elohim Purity & Astrea. #5 Scientific Knowledge, Planetary – Orange-Third Eye; Universal-White Light Mixed with Green & Gold; Chohan-Master Hilarion; Archangels Mother Mary & Raphael; Elohim Cyclopia & Virginia. #6 Devotion, Planetary – Indigo-Solar Plexus; Universal, Ruby Red-Solar Plexus; Chohan-Lord Sananda/Lady Nada; Archangels Uriel & Aurora; Elohim Peace & Aloha. The Mahachohan is head of all of the Rays. This post is now being shared as previously held by Allah Gobi he works with Rays 1 through 3 and Saint Germain now overlights Rays 4 through 7. Lord Maitreya, Office of the Christ also oversees the Rays of God. The 4th and 5th dimensional rays also represent the additional chakras. They are then integrated into the base chakras and will blend within each other as each of the 4th and 5th dimensional grids as they are fully activated. The following includes the color frequency only. More information will be available via the Mastery class and forthcoming blogs on the overlighting Beings on the Cosmic Rays. We have provided this information so a new aspirant can grasp the science of the Rays. I started this writing in helping myself and others understand our manifestation abilities, but then we realized that we needed to provide a deeper understanding of the Rays of God. The rest of the information will center upon Rays 2, Love and Wisdom and 3, Active Intelligence. To give a bit of background information; the 2nd Ray of God is Love and Wisdom and is represented by the Blue on a planetary level within the Heart Chakra. The energies embodied at this level represent Divine quality of love and desire for pure knowledge which truly means to embrace love compassion, with unselfish energy of earnest Spiritual study. This is where we fully learn to open up our heart onto the wisdom and knowledge on a love-based frequency. 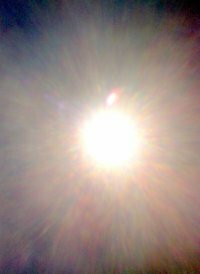 Accessing this ray truly assists in allowing the Heart Center to fully incorporate these qualities on a Soul level while interacting within the physical body. Master Kuthumi along with Ascended Master Djwhal Khul are the teachers of this ray that help us to fully embody these aspects within our physical essence. At the same level, the Ray of Active Intelligence is activated within the Throat Chakra in the color of Yellow which allows us to embody the qualities of mental illumination, clear mindedness, perseverance, and the powers to evolve and produce. It definitely is a male frequency that occurs within this level to assist us within the Throat area. We learn to speak from this essence of the 3rd Ray overlighted by Paul the Venetian. I pose this scenario of how these Rays are now blending: as we are working on the 3rd dimensional rays which would reflect the Planetary level, the Heart being the organ and chakra vibrating with the energies of Love and Wisdom, and the Throat being the energy of Active Intelligence; together they represent the Feminine level and the Masculine level prospectively. As beings that are “Ascending” into our 5th dimensional physical selves, we must master the Heart center with Love and Wisdom first through our emotional levels – sharing love, compassion, and understanding fully. It must be felt on the planetary level first. By doing so we incorporate the Blue of the Planetary level to assist us in the balance. The same goes for the Throat with Active Intelligence with the Yellow Ray. It assists us in our mental illumination and helps us to see exactly how we need to create the ideas in order to evolve. Then as we evolve through the processes of our initiations we start to intuit the Universal levels of these Rays which are still on a 3rd dimensional level but our consciousness is changing. This allows us to bring in the Universal frequencies within the physical body. In doing so the Love and Wisdom now moves into the Crown area incorporating the Golden Yellow frequency of the Ray. Since the Crown represents our connection to our Higher Self, we then move into complete balance of Illumination, perception, and wisdom by accessing these elements through our highest presence. The Ray of Active Intelligence now moves into the Heart Center with the Deep Pink as we have allowed ourselves to be very tolerant and patient while feeling the Divine Love that is within our Heart center. This is evolved through the ability to fully access our emotional and mental levels, or female and male essences to fully create our desires and destiny as directed by our Highest Presence. In summation this is what this means: We must activate our ideas within the male aspect of the Throat, speaking about it, sharing or just projecting through our essence of ideas. The female aspect receives the message which represents the desire to create the manifestation. Individuals that have not accessed the Universal frequencies are going to have more of a challenge in creating the dreams that we desire to be manifest. The ideas are there but sitting within our physical existence, or lower mind.. Since our Higher Self is the commander of our ship, then we must access the consciousness or Higher Mind within the physical existence. Otherwise, we become stagnant in the process. The Lower Mind cannot access the wisdom, knowledge, and the power to create it as it does not know what to do with the ideas. The Higher Mind is the driving force between thinking it and creating it. So now we utilize the Universal frequency of the Golden Yellow in our Crown area and the ideas flow more easily as it is a doorway onto the Higher Self and I Am Presence. This is then activated into the Heart Center for it to be fully manifested through the feminine frequencies. The combination of these two rays on both levels makes perfect sense for each of us to acquire our desires. I believe this is the key for many of us of not realizing our dreams, or the timing is off when projects are first thought to become manifest. As 2012 is our time to fully be in full recognition of our pathways with our higher essences in command, this will fit into the missing puzzle piece that many of us have been trying to find. It is a simple little thought that needs to be activated by the Higher Mind and then the Higher Heart. It is our destiny to fully be able to manifest all of our dreams, and I believe this is one part of the puzzle that we have been missing. So how do we access these rays? Breathing them into us ~ asking for the perspective Ascended Masters, Archangels and Elohim Masters for their assistance. See the colors swirling around us to full embody these activations within our physical pathway. There is no more powerful tool in this world than working with the Rays of God, and I believe that this is just one element that can assist. They are an essential component of mastership. A good visualization to do is to start with the first seven rays and breathe the colors into your chakras. It can be an excellent start of your day. Enjoy watching your Dreams Come True!